At Folio Avenue services were great. Staffs were nice, accommodating and they will make sure that they met their client’s needs. Their Marketing and Publishing strategy really helps to those aspiring authors that their work of art will be known to world especially in the market area. We highly recommend them to everyone. Kudos to your team! The first time we did business with Folio Avenue we were very sure that we found the company that would help us with the marketing and publishing of our book. Their marketing strategy was way beyond our expectations and our books now where already out even though there were ups and downs but still the business was going smoothly and now we are on-going for the second release of our new book we’re still with Folio Avenue as our publishing company partner. Highly recommended marketing and publishing company. 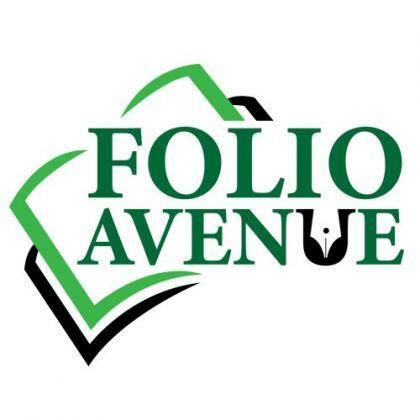 Folio Avenue had been a great help to us. They were the one who helped us with our online reputation in promoting our printouts, books and they also help us through book fairs. Their services were awesome and a big help for us starting a new line of business especially in selling book sets. Thank you so much Folio Avenue Publishing Services. I highly recommend this publishing company to everyone. This place was conveniently located and clean, the staffs were very professional, friendly and efficient, and the cost was very reasonable especially if you do have you your own materials ready to be printed and all set for it to be checked by their editor in chief. Great service, fast turnaround and they work with you to make sure the print job was exactly what you want. I regularly order product labels from Folio Avenue and they have made it easy and consistent for me. I highly recommend this company for your printout and other printing needs. I needed a glossy printout of my book brochures as a sample to some of my clients. I went to Folio Avenue to check their services and thankfully they have what I wanted. Their staffs were very nice and accommodating. Pricing was fair enough. Highly recommend for you printing needs. The staffs were very nice, friendly and accommodating to our needs. Their office was also nice, clean and spacious with a lot of machinery that used for printing. It was a great experience having them as a publishing company in the area. Their staffs were very helpful and worked collaboratively with us. They also help us in designing our book cover and added more touch on it. Everything went very well and we will definitely recommend them to others. This publishing company was great. They will help you publish your writings and market it to your desired readers in a strategic way. Their staffs will help you from start to finish and give advice on how you can create more ideas with your writing. Partnering with them to publish your writings was a great idea and it was a wonderful experience to work with them. I highly recommend them. I had a great experience working with Folio Avenue. I needed to edit a short essay that I was writing. The editor in chief at Folio Avenue edited and rewrote parts of my essay without losing its essence at all before publishing. She highlighted what I wanted to convey with it. She made me feel comfortable working with her because of her genuine interest, care, and skill. I have been recommending her and Folio Avenue ever since, and I am planning to work with them in the future with my upcoming projects. No words can express how thankful I am with this publishing company. They always made me feel that I was their top priority. They really made their very best for the best outcome of my book that I wanted to. The outcome of the book is everything I hoped for and more. The quality is wonderful from cover to cover. My deepest appreciation for bringing my novel to print. It's an author's dream to bring their novel to life. Now, I'm a proud author. It was absolutely remarkable work done on my book. Very pleased with the end-product, thank you all team of Folio Avenue for the work perfectly finished. I am indeed very happy! My novel manuscript turned out into a real, live book. They turned my inspiration into a reality.